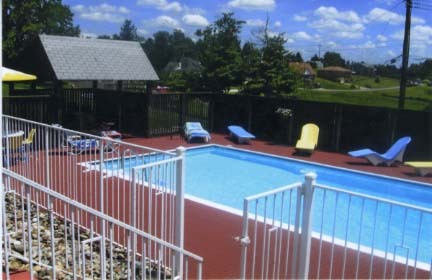 Herontile by Plastex is a wet area tile for your pool decks, spas, locker rooms and more. Herontiles feature a click together mechanism that will create a seamless floor. When these tiles are connected together, they can be rolled up for easy removal or storage. This tile is made with a soft Ethylene Vinyl Acetate making it comfortable to stand on with bare feet. Plastex Herontile contains SteriTouch additives to prevent fungal and microbial growth for a more hygienic flooring in wet areas. 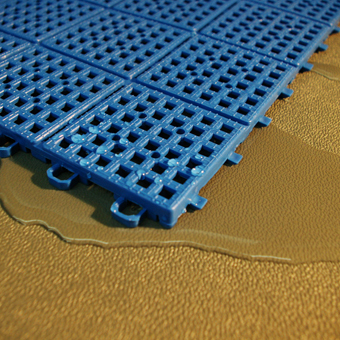 The surface of Herontiles have a circular embossed design which increase traction. Herontile is 15 mm thick on strong support legs so that water drains underneath. Herontile is available in 4 different colors including ocean blue, light blue, light grey, and beige. The dimension of each tile is 1.08 x 1.08 feet. Herontile comes in cases of 27. Regular cleaning is recommended for this product with an alkaline based cleaner and a brush or electric cleaner. For similar products, visit our Wet Area Flooring page. 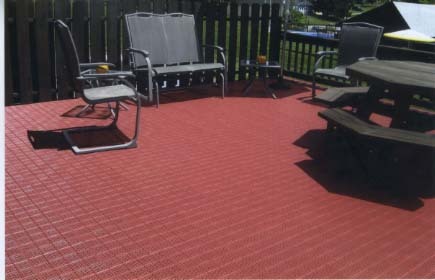 As you can see by these photos, Al did a great job with his pool area using Patio Tile Aqua from Greatmats. 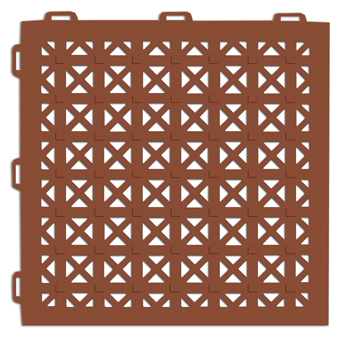 A perfect, outdoor wet tile, it is perforated so it doesn’t hold the heat and prevents water from puddling up on the surface. It’s also a much safer surface for children than concrete. 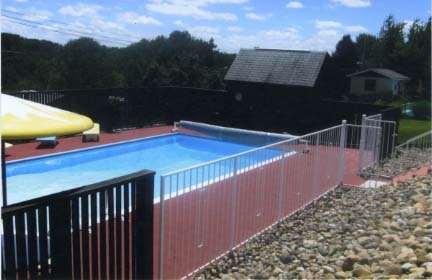 Al covered 1860 square feet of pool area including the deck and the job took him only 29 hours. Because these wet area tiles require no adhesive, it’s a pretty straightforward job. Just click the tiles together and cut them off to fit around the pool area and other obstructions. Thanks, Al. We appreciate your business.